February and March is calçot season in Spain, and to celebrate, Rachel McCormack is cooking up some Sunday lunchtime feasts around the giant onions at Boqueria in South London. 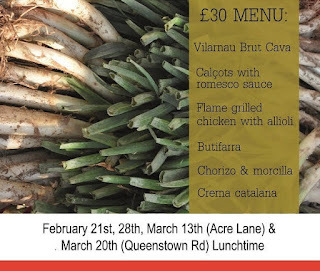 Taking place in the Acre Lane restaurant on Sundays 28th February and 13th March, and in the second restaurant in Queenstown Road on 20th March, it costs just £30, for a feast including the calçots, chicken, chorizo and more. Do it! 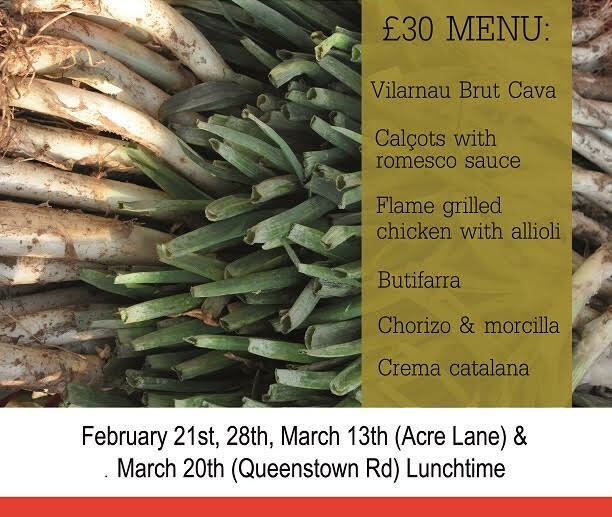 "Catalan Calçot season is upon us again and Boqueria restaurant has teamed up with Radio 4's The Kitchen Cabinet's Rachel McCormack to host the annual festival of the most fun you can have a table with your clothes on.